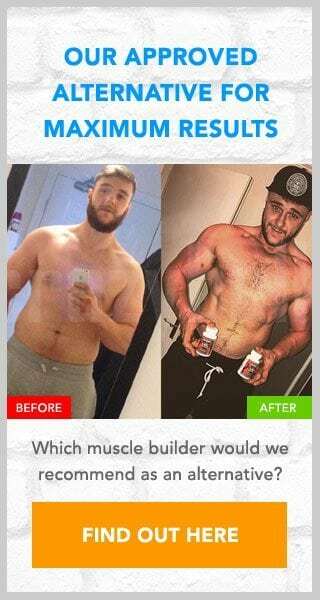 The Brute Gains muscle supplement makes a number of promises on its website, but can these be proven? We have time and again products that claim this or that, but in reality offer very little. Our review will look at this supplement in more detail, showing you the truth behind the hype. 4 Is the Brute Gains trial a scam? To check that this supplement works as claimed we will need to look more closely at the ingredients that have been used. Despite its claims to boost testosterone there is not one mention of any of its ingredients. This makes it impossible to comment on any potential benefits. For all we know this supplement could work as claimed, but also it could be totally ineffective or worse still could cause side effects to occur. Knowing what a supplement contains is an important part of the buying process. Without this information we just don’t know what effect this product will have on you. Brute Gains is available for trial, but this is definitely not a free trial. To find out how much this trial will cost you will need to take a moment to read through the terms and conditions page. Their T&Cs state that there is a $6.98 charge to pay when you first sign up to this offer. This initial charge allows you 14 days to trial the product, after this time has elapsed you will be charged again. With this second charge being $74.99. The Brute Gains trial offer leads onto an auto-ship program too. So failure to cancel the trial will mean that you are automatically enrolled. Auto-shipping means that further deliveries and charges will be sent to you monthly. Is the Brute Gains trial a scam? We cannot recommend Brute Gains, and that is because of a few different reasons. The claims are impressive, but without any ingredient information we cannot believe them. As for the price, this testosterone booster is a little on the expensive side. The use of auto-shipping is another issue that is likely to lead to customer complaints. In my opinion it is probably best to avoid this offer. The only contact information we could find for Brute Gains was hidden away in the terms and conditions. If you are looking for an alternative then look no further than D-Bal, a supplement with similar benefits as the banned anabolic steroid Dianabol. This supplement is safe to use and is also completely legal too. As it is not available for trial you wont encounter any hidden or repeat charges either.